The trial of a former IRA chief on kidnap charges collapsed today after incriminating statements he allegedly made after his arrest were ruled inadmissible. Brendan McFarlane denied involvement in the violent 1983 abduction of supermarket boss Don Tidey, who was snatched outside his home and held captive for more than three weeks in a wooded hideaway. 56-year-old McFarlane from west Belfast, who led the mass escape from the Maze Prison weeks before the kidnap, walked free from the Special Criminal Court after the prosecution withdrew the case. Counsel for the Director of Public Prosecutions told the court the State was not entering any further evidence. Trainee Garda Gary Sheehan, 23, from Carrickmacross, Co Monaghan, and Patrick Kelly, 35, an army private, were both shot dead during Mr Tidey's dramatic rescue in December 1983. In dismissing the charges, Mr Justice Paul Butler described the kidnapping as horrendous. 'Even after a quarter of a century has passed, it is obvious from the evidence of Mr Don Tidey and the appearance of the families of recruit Garda Gary Sheehan and Private Patrick Kelly that all have been greatly affected and the court acknowledges that,' the judge said. McFarlane walked from the Green Street courthouse several minutes after the case was dropped. 'I'm very, very relieved that this has been brought to an end,' the former IRA man said. McFarlane praised his legal team who, he said, worked arduously over the last decade. Earlier the three-judge court ruled that statements McFarlane allegedly made in police custody after his 1998 arrest implicating himself in the crime could not be admitted into evidence. McFarlane is alleged to have told officers investigating the violent abduction that he was at the wooded hideaway where the businessman had been held captive. But the former IRA boss denied he ever made the statement or claimed to detectives he was prepared for the worst when quizzed at Dundalk Garda Station. His barrister Hugh Hartnett SC, who called for the statements to be ruled inadmissible, cited McFarlane's bail application some days after his arrest in which detectives made no mention of admissions but noted they had fingerprint evidence. Mr Justice Butler today said doubt had been cast over the existence of the statements for a number of reasons including the fact that McFarlane had denied under oath that he made the alleged admissions. He also noted problems with the recording of interviews and the fact that McFarlane had refused to answer any questions on the advice of his solicitor. ‘Having considered all of the evidence we are satisfied that there is doubt and we must give the accused the benefit of that doubt and exclude the admissions,’ he said. McFarlane was jailed in the Maze prison in 1974 for his part in the IRA bombing of a bar in the city's Shankill Road in which five people were killed. He was the head of the Provisional IRA prisoners at the Maze and escaped in the mass breakout by 38 inmates in September 1983. 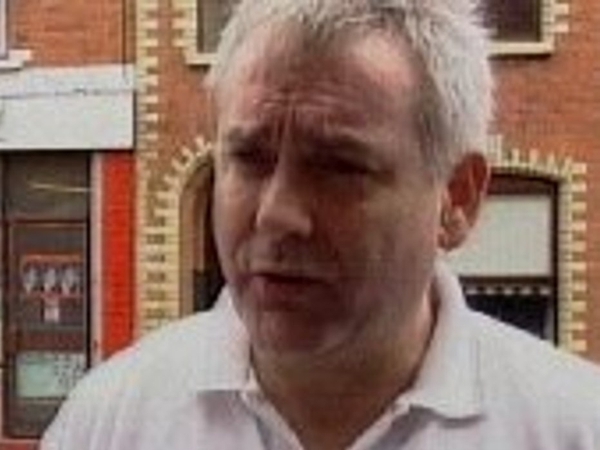 He was arrested in Amsterdam in early 1986, extradited to Northern Ireland and released on parole from the Maze in 1997. He was arrested over his alleged involvement in the Tidey kidnapping on January 5, 1998 as he travelled on a bus between Dublin and Belfast. He pleaded not guilty to one charge of imprisoning Mr Tidey and two firearms offences. The Quinnsworth executive was violently abducted outside his home by an armed gang posing as police while his teenage daughter and son looked on. He was held for more than three weeks in a secluded Co Leitrim wood. After 23 days the security forces stumbled upon the hideout and rescued Mr Tidey in a barrage of gunfire in which the young garda and soldier were killed.